The Lexus ES is a good hybrid alternative to the executive car segment dominated by Audi, BMW and Mercedes-Benz. The Lexus ES isn't just an alternative to the likes of the Audi A6, BMW 5 Series and Mercedes-Benz E-Class, it's also the sole hybrid-only offering in the executive saloon segment. Lexus is quite happy for people to have divided opinions on the styling of its cars and the looks are, of course, subjective, but we do think that the ES is one of the more visually striking cars in the segment. It's clearly influenced by the flagship LS saloon, which is apt seeing that the original ES was launched alongside the first LS when the Lexus brand was launched 30 years ago. Since then it has been sold in many other markets, but only with the introduction of this seventh generation ES was the decision made to phase out the GS here and use the ES as the replacement. With the measuring tape out, the Lexus ES comes in as the longest amongst its chief rivals and it is also the lowest, adding to its physical presence. At 454 litres, it has less boot space than others, although a generously wide aperture goes some way to making up for this. It can easily swallow up a couple of travel cases with plenty of room to spare. That overall length advantage results in generous levels of legroom for those in the rear, and Lexus claim current best-in-class status. At 1,025mm it is just one millimetre shy of what you get in the back of the Lexus LS, apparently. The two outer rear seatbacks can also recline by up to eight degrees for added comfort. Sitting into the comfortable yet supportive driver's seat for the first time reveals a driving position that is very good. All Lexus ES models feature an electrically adjustable steering wheel for height and reach as well as electrically adjustable front seats that include heating functions. Even the tallest of drivers should find this car comfortable to sit in given just how far back the driver's seat can move. The look and feel of the materials used in the dashboard and throughout the rest of the car are to a high standard. It might not have the same visual impact as the interior of the Audi A6, but there is little wrong with how it has been executed. A 12.3-inch screen features as standard on this range-topping Premium model, but most get an eight-inch media display. One of the main goals by the development team at Lexus from the outset was to make the ES a car that excelled in the refinement stakes. Much work went into making the acoustics of the car top notch, by blocking out sound from exterior elements as well as the drivetrain without making it seem unnaturally quiet. Even during the first few kilometres of driving it is clear that the engineers have succeeded. The hybrid system is made up of an all-new 2.5-litre petrol engine coupled with an electric motor. The latter is powered by a new nickel-metal hydride (NiMH) battery that is smaller than before and is mounted beneath the rear seats. Power is sent only to the front wheels via an automatic continuously variable transmission (CVT), which has eight simulated steps to give the impression of gear changes. This setup enables the ES to drive using only battery power at speeds of up to 50km/h for short distances. But it's the effectiveness of how the engine and electric motor interact that makes the ES such an impressive act. You get the best from the ES when you drive it with lighter throttle inputs, though. In its Eco mode, the energy recuperation is decreased to allow the car to freewheel or coast for longer, although the reduced throttle sensitivity means that you'll soon want to switch it back to its default Normal setting. The CVT now works better than previous systems by Lexus. That elastic band sensation between throttle input and acceleration is reduced. One thing that is missing in comparison to diesel power is a surge of torque, something that many will have become accustomed to in recent years. Still, the ES does get up to speed in a brisk enough fashion and as soon as you hit motorway cruising speed the revs drop right down. All ES models get a new type of suspension that Lexus has created with technical partner KYB (except for the F Sport variant, which features a bespoke adaptive system). It features what the company calls 'swing valve' shock absorbers that operate by controlling the flow of oil within the shock absorber more effectively at low and higher speeds. The result is a very supple ride quality that complements the excellent body control that comes from the new chassis design and the rest of the suspension setup. Low-frequency impacts from driving over speed bumps and even travelling over coarse sections of tarmac are absorbed very well. It feels every bit as good as even the best air suspension systems that reside in cars a segment above, such as the Mercedes-Benz S-Class. Away from the motorway, the ES blends that refinement with a driving style that will satisfy most buyers. The electrically assisted steering is operated by a wonderfully crafted and perfectly sized multifunction steering wheel. Across a variety of roads, we saw fuel consumption figures that were easily a match for what most other diesel cars in the segment can offer. Only on longer motorway runs would they be likely to beat the petrol-electric hybrid ES. A surprising result from data of our test routes also showed that the car spent a total of 52 per cent of the time on electrical power, which confirms just how well the alternating between combustion and electric motor works. Being somewhat of an underdog in the premium saloon segment of the market, Lexus has priced the ES keenly. A starting price of €49,450 undercuts its main rivals like-for-like by a fair margin. Lexus also hasn't been shy about giving the ES a good level of standard equipment. The range starts with the ES 300h Executive, featuring 17-inch alloy wheels, LED headlights with daytime running lights, a sunroof, front and rear parking sensors, a seven-inch TFT display and eight-inch infotainment screen, satnav, reversing camera and dual-zone climate control, along with an electrically adjustable steering wheel and electrically adjustable and heated front seats. The ES also gets a range of driver assistance features that include a Pre-Collision System, adaptive cruise control with Road Sign Assist, Lane Keep Assist with Lane Trace Assist and automatic high beam lights. A step up to the Luxury grade costs €5,900, and gains leather upholstery with ventilated front seats, wood trim, memory function for the seats and steering wheel, wireless charging pad, automatic wipers, 18-inch alloy wheels and safety additional safety features such as Rear Cross Traffic with Auto Brake function (to help when moving out of a parking space) and Blind Spot Monitor. The F Sport model is only slightly more than the Luxury grade, but gets a bespoke suspension setup, 19-inch alloy wheels, triple LED headlights and unique F Sport interior details including different front seats. Rounding off the range is the Premium model, which is almost a €13,000 price walk over the entry-level Executive specification. It lists among its standard equipment unique 18-inch alloy wheels, an electrically operated boot lid, the larger 12.3-inch infotainment screen, heated steering wheel, tri-zone climate control and a Panoramic View Monitor with pedestrian alert. If you can live without that huge surge of torque that many diesel engines offer, then there is little else that you will find fault with how the new Lexus ES drives. The comfort and refinement levels set a new standard for cars in the segment. 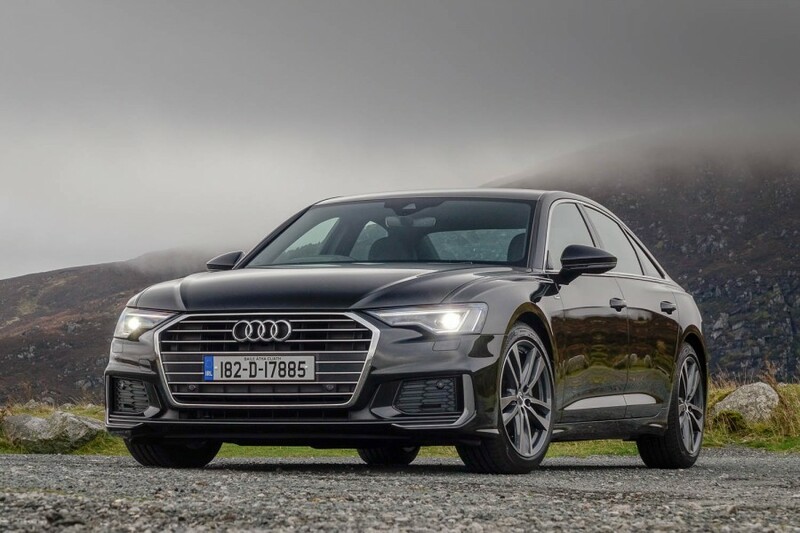 Audi A6 vs. Lexus ES 300h Premium (2019): Teutonic styling and a first-class interior finish adds to the high-tech feel of the A6, though it lacks driver involvement. 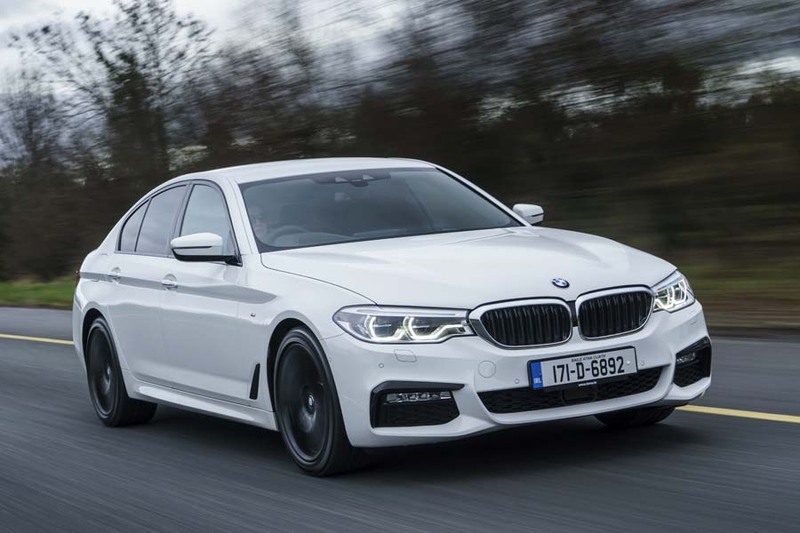 BMW 5 Series vs. Lexus ES 300h Premium (2019): the best driver's car in the class and its interior finish is better than before, but becomes costly with options. 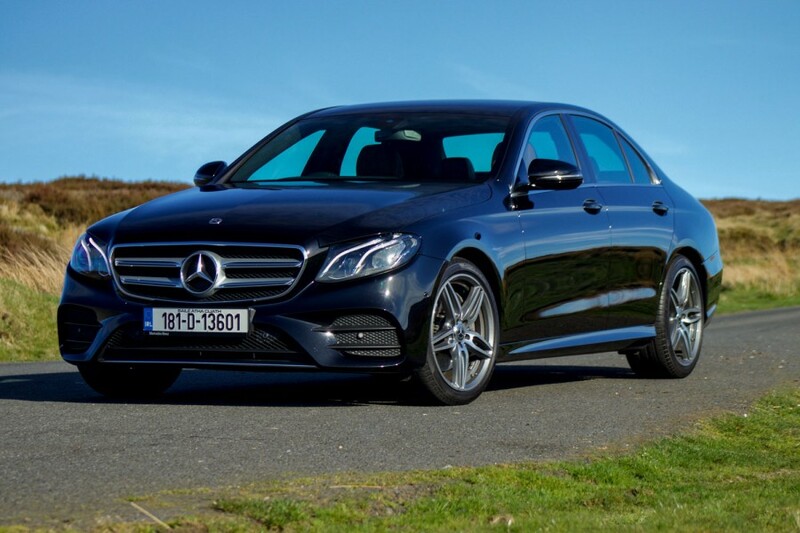 Mercedes-Benz E-Class vs. Lexus ES 300h Premium (2019): the E-Class is a joy to drive and feels spacious inside, especially up front, and delivers a high-quality finish throughout.